It's a grey and rather miserable Friday morning and before I have to go flying and hopefully find some sunshine on top of the cloud-cover, here's a little Westgate news. This morning's Thanet Gazette majors on residents' opposition to the plans for a micropub in Lymington Road. (F/TH/12/0674) Apparently their political champion is Labour's Cllr Jodie Hibbert. Cllr Iris Johnston is making a habit of standing-up at the monthly residents meetings, to apologise for the absent and 'Hard-working'Westgate councillor, who is reportedly very busy being Mayoress of Margate. This might be embarrassing if it weren't funny! The Gazette, known for the 'forensic quality' of its investigative journalism, has missed the fact that this planning application is now in it's second incarnation the first being kicked into touch by residents, represented, to set the record straight, by me, in July. It's coming-up again next Wednesday at the Planning Committee for public speaking and strangely enough, it's me again, representing the residents and traders, with a 200+ supporting petition, the second time around. Readers may wonder at the lengths our local paper is now going to in its efforts to airbrush me out of the local news wherever possible. Local people will already be aware of the advanced but controversial plans to build a Tesco Metro in Westgate's Station Road, opposite Beano's cafe. After seeing-off Sainburys on the Canterbury Road, at least temporarily I have been asked by concerned local traders to call this one into the planning committee for debate. The new Tesco Metro in Westbrook, which is causing visible parking chaos and road-safety issues, is raising concerns here in Westgate and to be frank, I have to agree with them. While I quite understand that many people wish to see the Co-Op having some real price competition and extra choice for local people, I am worried that building a new Tesco will set a development precedent along the southern side of Station Road, which is out of keeping with the town's history and conservation status. I would value opinions here and you will find a petition, should you wish to sign it, in several of the local shops. I have to go to work now, so more later perhaps. Today's local aggregated 'Thanet Times' newspaper can be found here. Footnote: I'm delighted that after persistent intervention with council officers, one of our more colourful local residents, who had been making neighbours' lives absolute hell over a period of time, has now been moved away and is reportedly receiving the proper 'support' required from the authorities. Westgate enjoys the unfortunate reputation of having a small local concentration of mental health and dependency issues but what the authorities don't see is the negative impact that this can have on the surrounding community. If you'll excuse my input, I like your blogs when they avoid the blue twist as I don't think it's especially helpful and doesn't make good reading(for me, anyway)(..not keen on news and info being twisted at all actually). I thought the apologies, explanation (collapsed ceiling)and "locum" at the WWRA meeting were reasonable and wouldn't be keen to try to suggest or prove otherwise. It's a pity the meeting clashed with another local meeting that you'd think would be integral to WWRA's activities. If Councillor Hibbert is as busy as Iris says she is, then why does Iris keep having to tell us all how busy she is and send out letters to 3 thousand of us to tell us again how busy she is? Westgate is a small town and its now got to the stage where if anyone actually sees Cllr Hibbert they get a prize! Sadly.. I'm only reflecting what's increasingly a prevalent local view. 'the invisible councillor' to most in Westgate outside of the regular leafleting efforts by Labour to try and give the impression of activity. With regards to the Tesco and Sainsbury's debate. I think there is another "hidden" feeling amongst people and not just people of Westgate but anywhere, where a supermarket or chain "pops up". I think it is similar to when an office department gets a new manager who says "I'm the boss, and we are going to do it my way". These companies seem to be like a breed that just infest places, without any thought or any care other than their need to selfishly become even more profitable. I am sure that attitudes of the people would be very much different if the space was utilised (if it had to be a grocery) by an independent - but an independent, would not risk it because of local competition but a chain can quite easily barge itself into the local fabric and very quickly begin dictating the "way" of the high street. It is this attitude which I think gets peoples backs up...The manner in the way in which such business is conducted. Well I am a 'Local Resident of Westgate' and I fully support the Tesco development. What I object to is having my wife bullied into signing the petition against this development in the newsagents this morning. Maybe some of us can see the true agenda behind this petition. I also live in Westgate and although I think the site is too small for the Tesco planned development I don't object on the principle that it is a big chain. Local businesses need to compete by having a different offering. Michelle Roux was on a TV show this week singing the praises of various different strawberry varieties- can't get them in supermarkets BUT niether can you get them in local shops. If the locals offered this kind of variety and things that the big chains don't perhaps they will be more likely to survive. If you can't compete on price, compete on quality, variety and service ! Enough people will pay if the products are good, unique and sold with enthusiasm & good service. Its so sad that anyone who tries to build a little business is stamped on in this way. The poor sod trying to start that micropub is trying to build a life and living for himself, creating an unusual little alehouse. Real ale drinkers are innoffensive types, there would be little or no bother from this tiny enterprise. In the 7 odd years that these little things have existed there has never been a single incident or call to the police. They don't have football or teenagers or pool or music, just a few people enjoying a locally craft brewed ale and having a quiet chat. They generally have limited opening hours. Why not give this guy a break and let him open, then review the situation in a year, when it will be obvious that these objections are groundless. Some people unfortunately with not much to do, seem to derive a perverse form of satisfaction from ruining the work and effort of those who try to be enterprising and inventive, its a sad trait of small town England. Would have to say my view is much as that of Liam. We have had a couple of small bars selling real ale open up in Broadstairs in recent mopnths and both seem to be going well. The one in the Old Chapel is particulrly noticeable for the very different customer it attracts to the more noisy, music blaring, heavies on the door pubs nearby. That one attracted objections on the grounds of the history of the building and former use, but the new congregation, if we can call them that, seem a pretty happy and well behaved lot. These developments are a mental mindfield for many residents who would rather shop in Westgate than travel to WWX. I was kind of partial to the though of Sainsbury on Canterbury Road but was crucially aware of the impact such a store would have on local trade and traffic so was happy that it didn't go far. Regarding Tesco given the proximity of the new Metro in Westbrook I am in two minds as to it, a bit of competition fo Co-op might not be a bad thing. It would have to be built correctly so it fits in with the style of building surrounding it. Finally the micro pub in Lymington Road... well not living that close to the area I don't know of its historic drink issues but I'm with some others when I think, given the right conditions, it should have a chance like our own micro-pub in Weesgate. I can assure you that Cllr Hibbert has been very active in the Westgate community since she was elected, including the whole Lymington Road saga. The difference is that she doesn't broadcast her achievements on a blog (and also is on good terms with local journalists). Come on let's not push the publics credibility too far... Journalists? Right lets have some facts here. 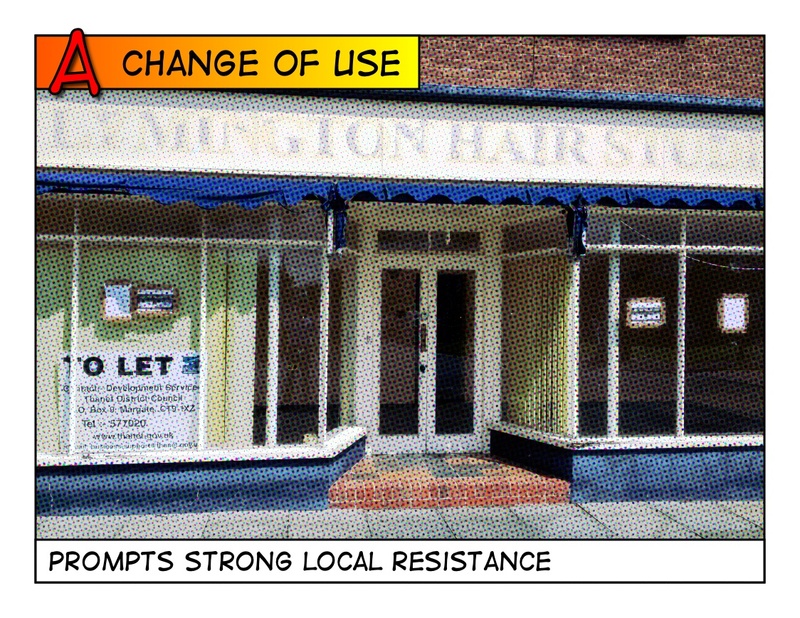 I live in Lymington Road and am party to asking Cllr Moores to represent our objections to the Micro pub. He has kindly and quite professionally gone about this business. I have not seen, or heard of anyone who has seen Cllr Hibbard in the area with regards this matter. As we have the General Stores, we are fairly easily found! 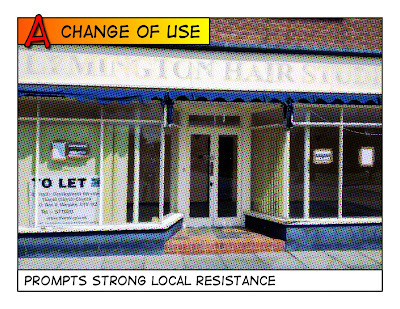 Also with regards to the prospective owners of the Micro pub. They are at present self employed and will not be creating any new jobs as they will be running the pub instead of their present business. And more importantly, he says in the paper that he is creating something for the community!! He lives in Ramsgate and does not know anything about this community having not visited it before applying for planning permission! If he is so desperate to do something for his community, then open a micro pub in one of the numerous empty properties in Ramsgate; which is his community. The fact that someone runs their own business is not grounds for objection to their new business. He is objecting for the sake of objecting. 'Historic reasons' is pleasingly vague. There is in fact no grounds at all. The real reason is a busybody personality and tall poppy syndrome. Little alehouses were a common site on English streets until a couple of decades ago. A micropub is a little place to go for a quiet beer and a chat, whats wrong with that? It certainly would benifit particularly more mature people who might like a quiet social pint with a chat rather than sitting alone in megabar with noise and flashing lights. Its all really nasty and a bit sad. Thank you for your valuable insight, Liam from Luton. I'm sure you know Westgate-on-Sea and all our problems very well. 200 mature people living in the immediate location of this proposed business are a lot of tall poppies!!! So be a good Don Quixote and have a tilt at some windmills in your own backyard and leave us to deal with problems that we know about, and which you are of course totally ignorant. It does help to get your facts straight first. 5.44 Who are you to assure us about anything Cllr Hibbert does? And if Cllr Hibberty did have a weblog that would be great because she would have to give factual details of what she has actually achieved. It is not sufficient to just make statements about being involved in local issues. It is not sufficient to deliver pointless leaflets making yet more statements or taking credit for work community volunteers have been doing long before Cllr Hibbert was elected. Talk is cheap. We vote for people we know who actually DO things. As for the Press. She's bound to have a good relationsip with them as they rarely say a bad word about Labour Councillors, or haven't you noticed! Don't play us for fools. We're not and we vote.